The Muddy Crows are an exciting award-winning Modern Americana Roots-Rock group fronted by singer & songwriter Dan Wolff. 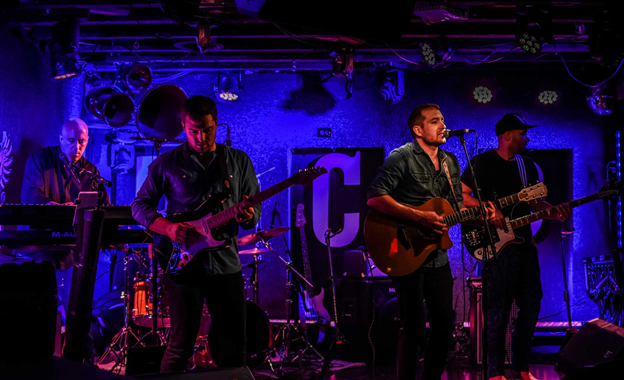 Their sound has been described as a fascinating mix of Modern-Folk (Lumineers, Vance Joy), Beatles harmonies, classic rock hooks (Rolling Stones and Eagles) and lyrics reminiscent of 70’s storytellers such as Tom Waits and Jim Croce. DC’s “Best Original’s Band”, 2015 and 2017. BEST KEPT SOUL has provided the highest of quality live entertainment for almost 10 years and the feedback on social media and their website speaks for itself of the satisfaction that they have provided to their audiences. Performing Hits from the 50’s 60’s 70’s 80’s ~ through current Billboard Toppers for Corporate Events, Annual Celebrations, Galas, Weddings, Bar-Bat Mitzvahs, Hotels, Casinos, Social Gatherings & Private Celebrations. NO Venue or Occasion too Big or Small. ‘BKS’ is adaptable & able to bring every audience to their feet! Honored as the ‘Peoples Choice’-Best Live Band @ the 2016, 2012 & 2010 DelawareBlack.com Awards Ceremony, ‘BKS’ continues to be recognized for their ability to remain Innovative, SOUL Filled & Classic.